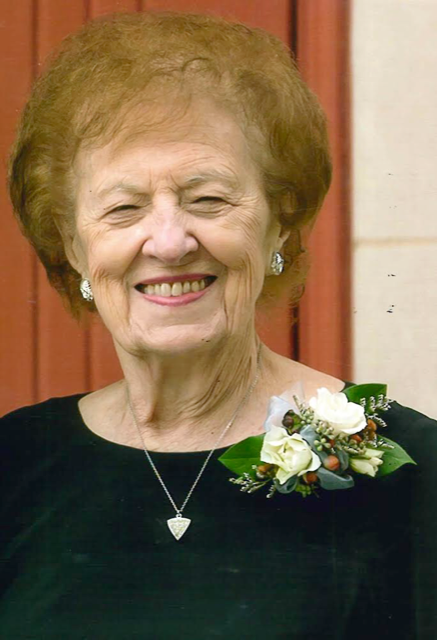 Kathleen (Kathy) Adele Cox Mealman Overland Park, KS passed away January 27, 2019. A celebration of life will be held at 11:00 AM Monday, February 11th, 2019 at the Village Presbyterian Church, 6641 Mission Road Prairie Village Kansas 66205. Donations in Kathy’s memory may be made to Village Presbyterian Church Food Pantry. Kathleen was born in Kansas City, Kansas on October 19, 1930 to Cecil and Tina Cox. She grew up in South Park (Merriam) and graduated from Shawnee Mission High School. After graduation she married the love of her life Robert (Bob) Mealman. They were married for 69 years and built a beautiful family and life together. They settled in Roeland Park, KS then moved to Overland Park, KS, where she lived until her passing. Kathleen worked for General Electric for seven years during her younger days. Kathleen then had many jobs during her long life including wife, mother, grandmother and becoming one of the faces of Andersen-Erickson dairy, where she did food demonstrations for the last 35 years of her life. The pride of her life were her two daughters Linda and Lisa and her four precious grandchildren. She enjoyed entertaining and always was whipping up something delicious in her kitchen for her loved ones. She led a very full life and enjoyed traveling with her husband, daughters and grandchildren. Las Vegas and Hawaii were her favorite places where she traveled many times and made wonderful memories. She so enjoyed watching her grandchildren’s activities and spending time with them. She will be dearly missed by her daughters and son in laws; Linda and Robert Hughes, Lisa and Dan Faubion, and her four adoring grandkids; Justin (Wendy) Hughes, Jordan Hughes, Katelyn Faubion and Kelsey Faubion. She is survived by her brother, Kenny Cox and many nieces and nephews. She is preceded in death by her parents, brother Stanley Cox and husband Robert L Mealman. Kathleen had many friends and never met a stranger. She will be missed by all who knew her. Mark and I were so privileged to be in the neighborhood and street that Kathy and Bob lived on. They were the most gracious two people you would ever meet. She meant a lot to our children Matthew Marie and Steven . She will be sadly missed and we loved her. Please accept our deepest condolences.